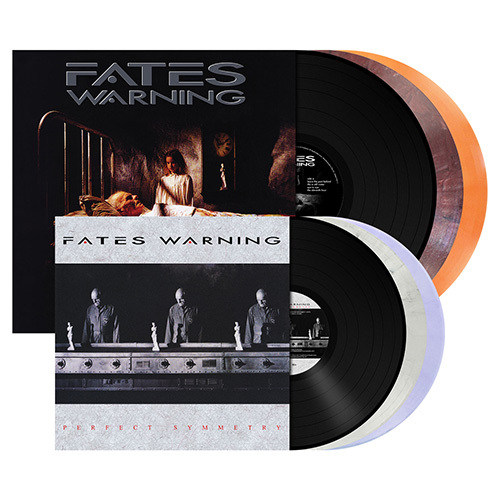 FATES WARNING: ‘Perfect Symmetry’ and ‘Parallels’ Digi-CD and LP re-issues now available for pre-order via Metal Blade Records! To be released January, 12th! On January 12th, Metal Blade Records will re-issue two of FATES WARNING‘s fan-favorite albums, ‘Perfect Symmetry‘ (1989) and ‘Parallels‘ (1991)! The vinyl re-issues are part of the Originals-series. Both ‘Perfect Symmetry‘ and ‘Parallels‘ will be released with 400g heavy cardboard spine sleeves (inside out print), 60x60cm two-sided artwork posters and 250g inserts. Both have received a new vinyl mastering by Patrick W. Engel. The CDs are 4-page-Digipaks with poster booklets, featuring five bonus tracks each! See below for an overview of all vinyl versions. Pre-order your copies now via EMP or at our ebay-store!